Stop in to YWCA Walla Walla during the last week of October to appreciate a bit of Latin culture. 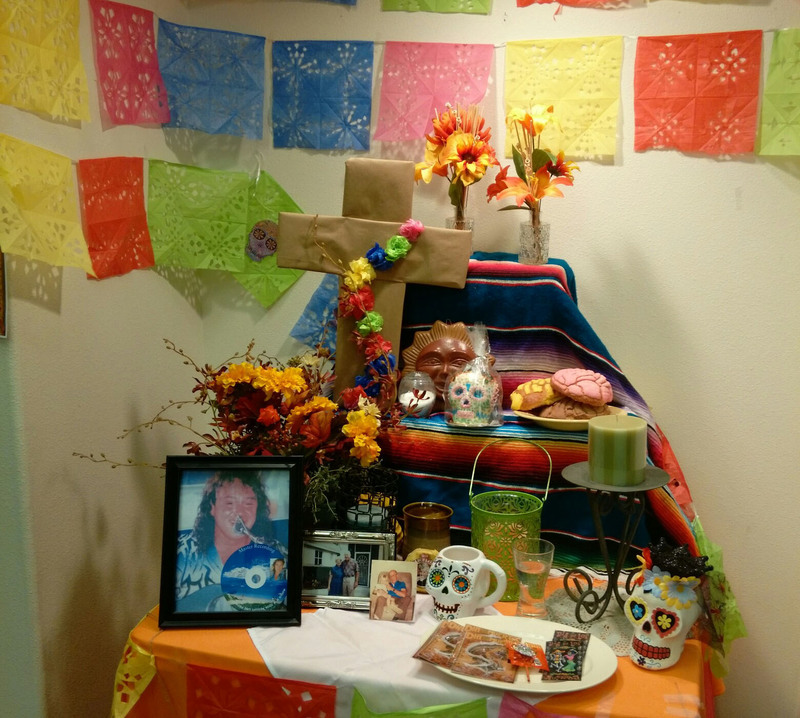 Celia Guardado, new Community Relationships and Outreach Coordinator, will bring Dia de los Muertos, the Day of the Dead, to YWCA, and the display will stay up through Nov. 1 and 2, the actual holiday. Though it might seem most like a Latin Halloween because of the date and the skull decorations, Dia de los Muertos also resembles Memorial Day, when Americans remember their military dead, and often other loved ones as well. Traditions vary from one region to another, but Dia de los Muertos is a time when Mexican families cherish the memory of lost children and lost ancestors. This may take the form of a fall picnic in a cemetery where they serve the favorite foods of the departed, share stories, and pray that the souls of loved ones will have an easy passage to heaven.